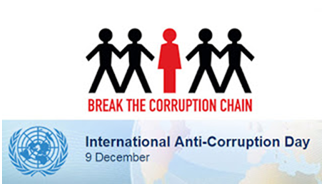 Following the Resolution of the UN General Assembly, on December 9, the International Anti-Corruption Day was designated to raise awareness of corruption and the role that the UN Convention on Anti-Discrimination has in combating and preventing it. Corruption is a serious impediment to economic growth and a significant challenge for the development of emerging and developing countries. According to the United Nations Development Program, funds lost due to corruption are estimated to be 10 times the amount allocated to social development assistance. No country, region, or community is immune to the effects of corruption.